The Trump administration imposed 25 per cent tariffs on US$34 billion worth of Chinese imports and last week finalized a list of US$16 billion in tariffs on Chinese imports. U.S. trade officials are also considering duties on US$200 billion more. In turn, China is threatening to impose tariffs on up to US$110 billion of U.S. goods if the administration moves forward. The trade war is heating up and smaller auto businesses have fewer options to pass through the higher materials costs to customers, experts warn, and some are seeking to game the system to reduce their exposure. Many are turning to legal help, looking for cracks in contract agreements with customers and suppliers, while others are possibly seeking less ethical means of avoiding import penalties. The tariffs have been a source of "tremendous friction" in the automotive supply chain, said Daniel Sharkey, partner at Michigan law firm Brooks Wilkins Sharkey & Turco PLLC. "I liken it to musical chairs: When the music stops, who doesn't have a chair?" Sharkey said in an email to Crain's Detroit Business, an affiliate of Automotive News. "You have to read the contracts to find out." Sharkey, who specializes in contract law, said automakers aren't budging on supplier requests for price increases tied to tariffs and the materials suppliers aren't willing to negotiate either, putting lower-tier suppliers in difficult financial situations. 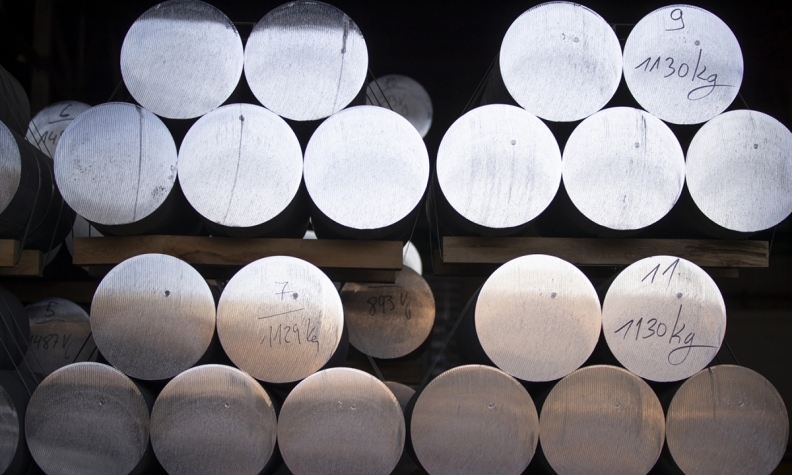 The tariffs are implemented across a broad spectrum of imported products that use aluminum and steel, all covered under specific classifications. Each part has a classification, some broad and others very specific. Companies can appeal to the U.S. Customs and Border Protection to reclassify products, some of which were initially improperly classified, which made little difference before the tariffs. But this process can take months to more than three years, said Paul Vandevert, principal at Ochim Trade Law PLC and former in-house trade attorney for Ford Motor Co.
"In this environment in 2018, looking to reclassify a product, right or wrong, could take years and I imagine will get great scrutiny," Vandevert said. Alternatively, companies can reclassify products themselves, without permission from customs, and take the high-risk gamble that customs officials will either agree with the reclassification at some later date or not notice it's been changed at all. "This is an ethical dilemma," Vandevert said. "If you're using an incorrect classification to avoid tariffs, it's a legal violation. But if a company is doing a risk assessment and looking at these tariffs as temporary, and expensive, they could make a case. It takes customs, and all government entities, a while to catch on to the new bad things people are doing. I would never recommend this because it's illegal, but if you're asking whether companies are doing this: Yes. Yes, they are." The move to improperly classify imported products can result in steep civil penalties and even criminal liability in some cases, according to U.S. Customs rules. Ford and other automotive companies have been investigated in the past for improper classification, which often times can be caused by a clerical error. "I can't tell you I've never seen a company [knowingly violate classification rules], but the penalties are very stiff," said Mark Aiello, partner at Foley & Lardner LLP in Detroit. "No one has come to me to ask if they should do this, as I'd actively recommend they do not do it, but I guess if someone was going to take this route they wouldn't go ask their lawyers." Nonetheless, suppliers are all combing over their product classifications to determine whether they are coded accurately in the event they could be changed to avoid tariffs, Aiello said. "There are a lot of questions coming in [to the firm] about classifications," he said. "It's part of a multifaceted strategy to really determine their exposure to these tariffs and future tariffs." Last month, AlphaUSA told Crain's Detroit Business the vast majority of its products, mostly high-volume, low-margin steel fasteners, are unprofitable due to the tariffs. The supplier is currently planning how to address the issue with its customers. Automotive hinge manufacturer Lucerne International launched a media blitz, publishing op-eds in several publications, including Crain's Detroit Business, before testifying in front of members from the U.S. Trade Representative's Office in Washington, D.C., in May. The company ultimately was successful in getting its product classification removed from the tariff list. Ultimately, everyone impacted by the tariffs is looking at the various legal avenues to find relief from tariff-related price increases. That includes several legal options that probably won't work, such as force majeure clauses, Aiello said. Force majeure is a legal clause excusing a supplier of its obligation to deliver parts upon the occurrence of an "act of God," or an event beyond the party's control. Suppliers are traditionally charged hundreds of thousands of dollars for every minute an automaker plant is shut down due to lack of parts supply. A force majeure can prevent them from that contractual penalty. Some recent high-profile force majeure cases include the 2016 earthquake in Japan that stifled Toyota production and the 2012 explosion at the Evonik Industries plant in Germany that decimated the supply of PA-12 -- a resin used to make fuel tanks, brake components and seat fabrics -- and caused supply slowdowns at several metro Detroit auto suppliers. Force majeure, however, will be a tough legal battle to mount, Sharkey and Aiello agree. "It's a very limited option because it all comes down to the contract; not every force majeure clause is the same," Aiello said. "Most clauses arguably would not commit relief in the event of increased tariffs." Sharkey, in a presentation to the Original Equipment Suppliers Association in July, noted that the courts have historically taken a very narrow definition of force majeure and it's unlikely to change now. The reality is most companies are assessing whether they can resource materials or move production to avoid tariffs, Aiello said. Mexico is on the list of most suppliers, as it could source metal from anywhere and ship to more countries as Mexico has nearly twice as many countries covered in free trade agreements than the U.S. The tariff issue holds the power to move production, but also to sow discontent between suppliers seeking relief and automakers seeking maximum profits. But so far, it's remained mostly in good faith, Aiello said. "Everyone wants to be ahead of the curve and, honestly, this is just another issue companies are facing," Aiello said. "At this point, the issue hasn't become confrontational as it's still in the planning stages, but it could."